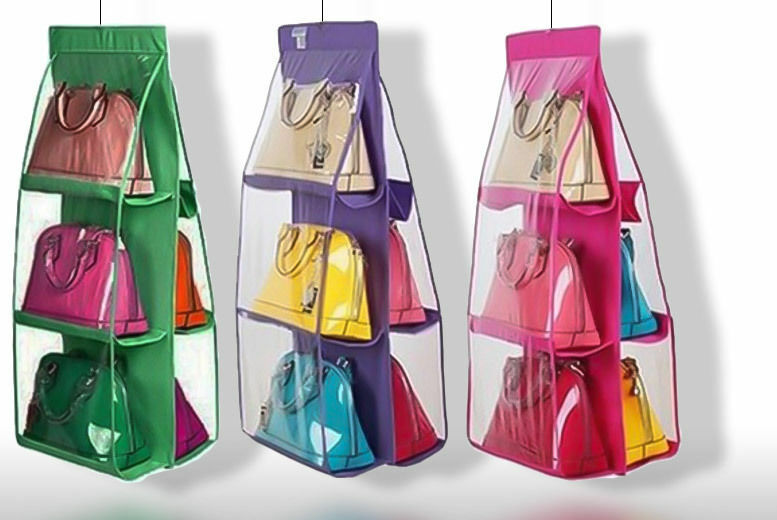 Get a handbag storage holder. With six pockets for different bags. Select from three colours: green, pink or purple! Make some space in your room with the ideal storage solution!